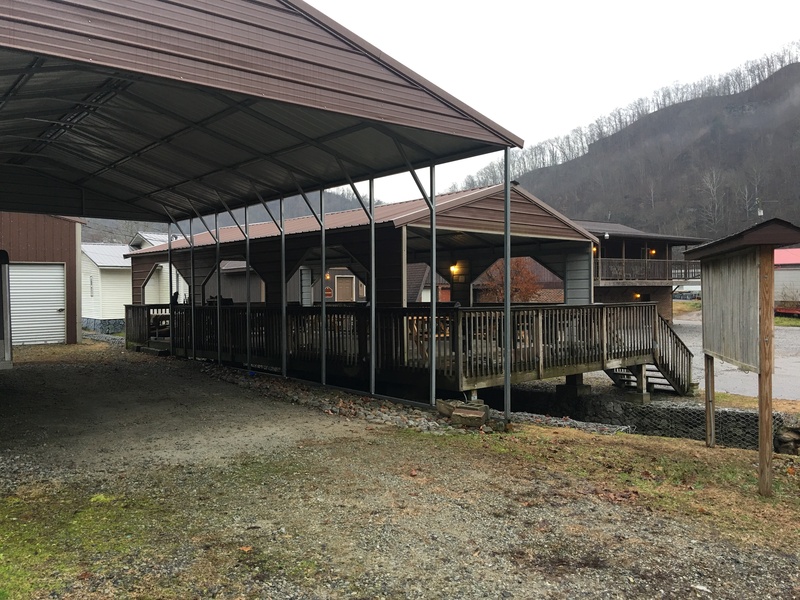 The largest deck in the area! 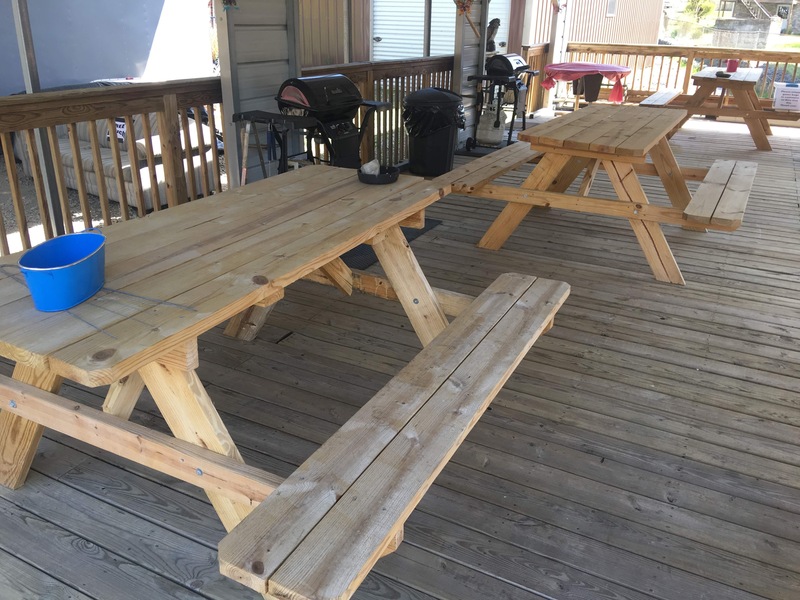 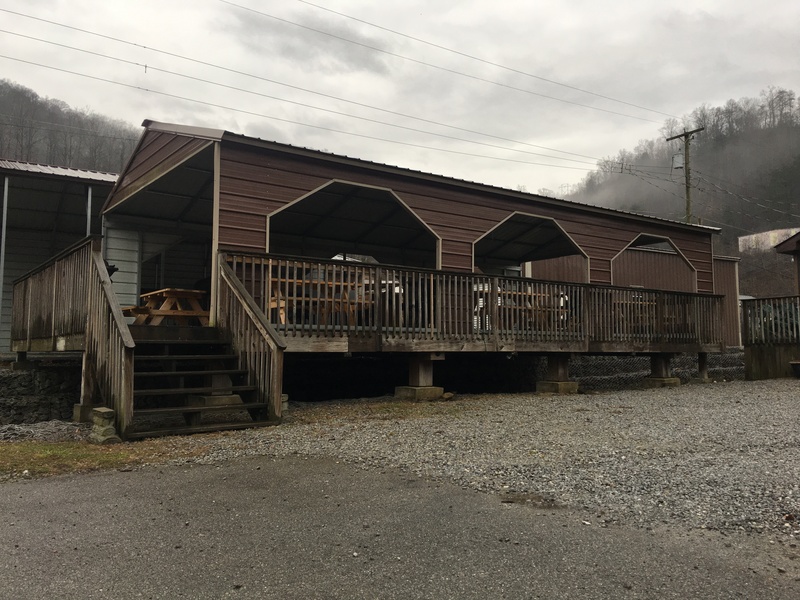 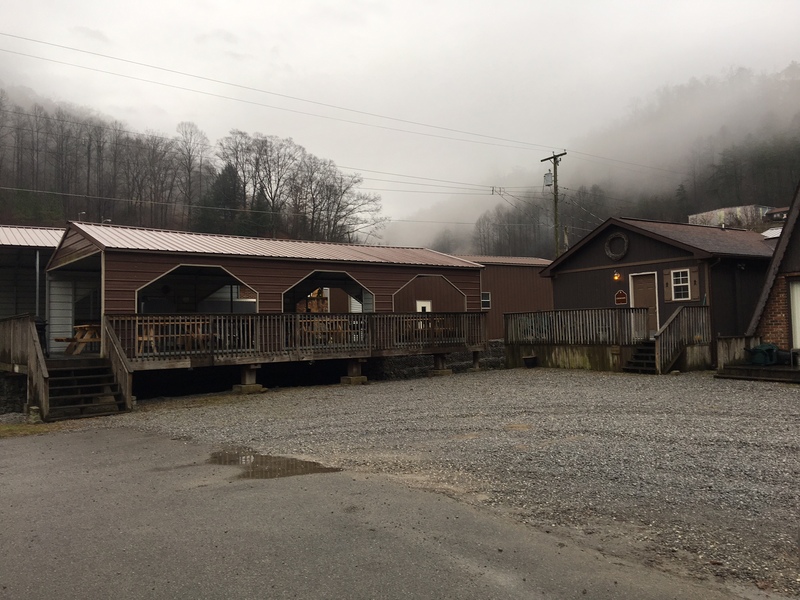 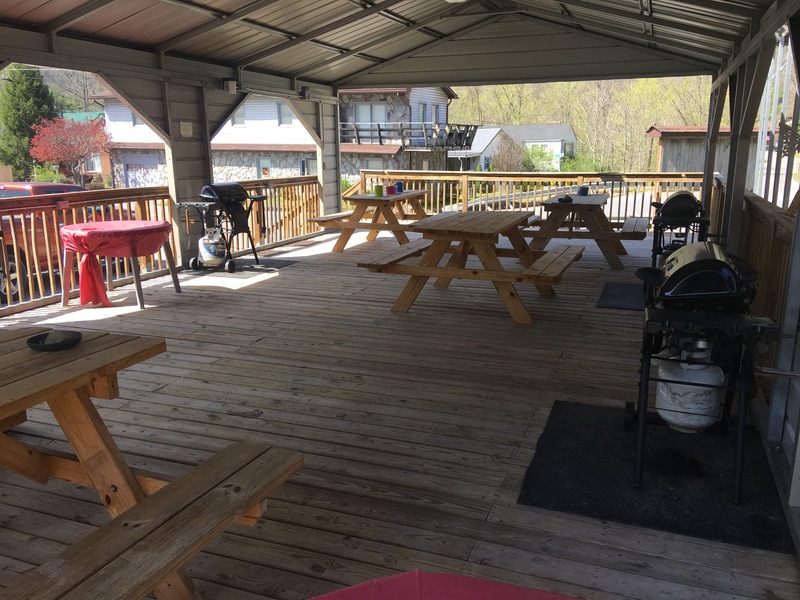 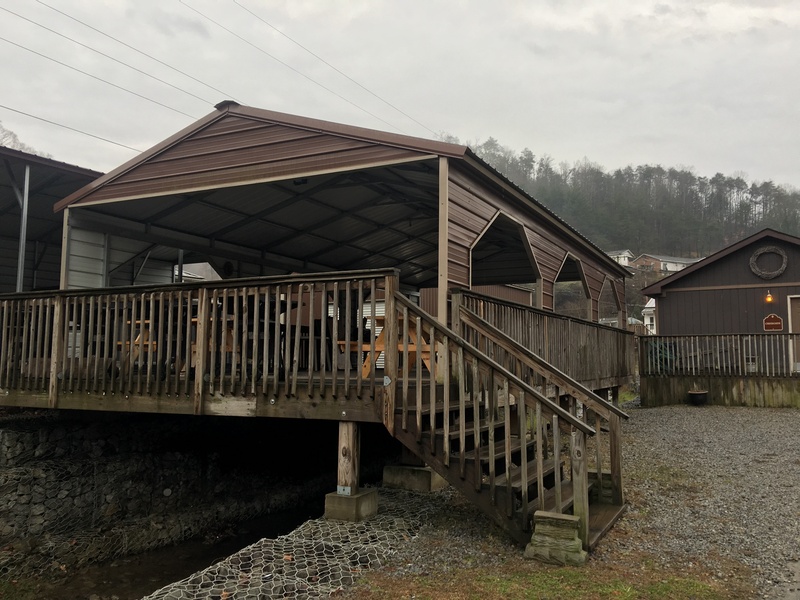 Adjacent to Creekside Cabin; The Chalet; The Laid Back; and just down the hill from Nana's Place, "The Deck" is a great place to cook and eat outdoors and unwind after your day on the trails. 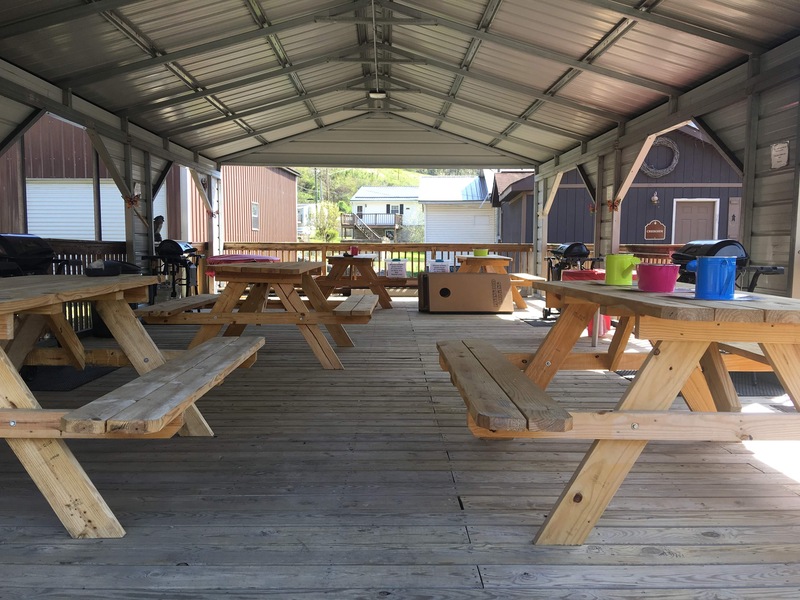 The deck is a monstrous 45' x 21' and is fully covered with a gabled metal roof with lighting. 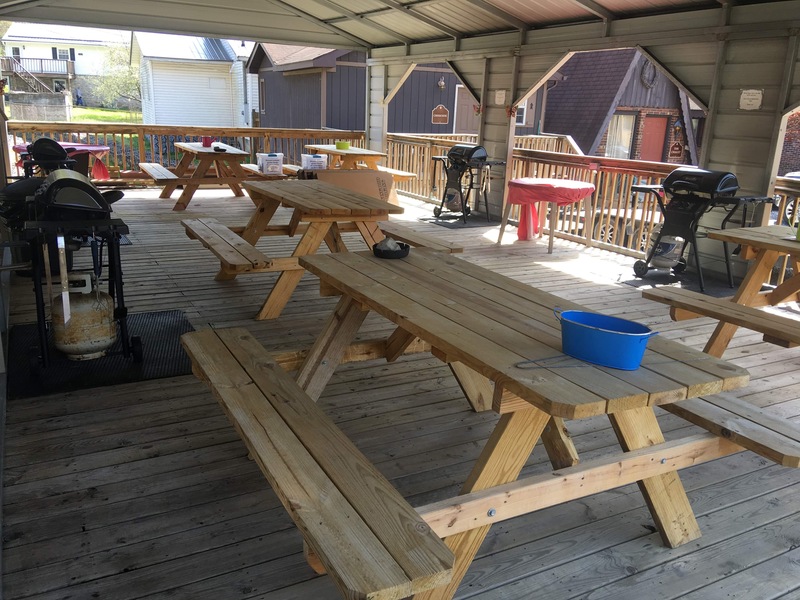 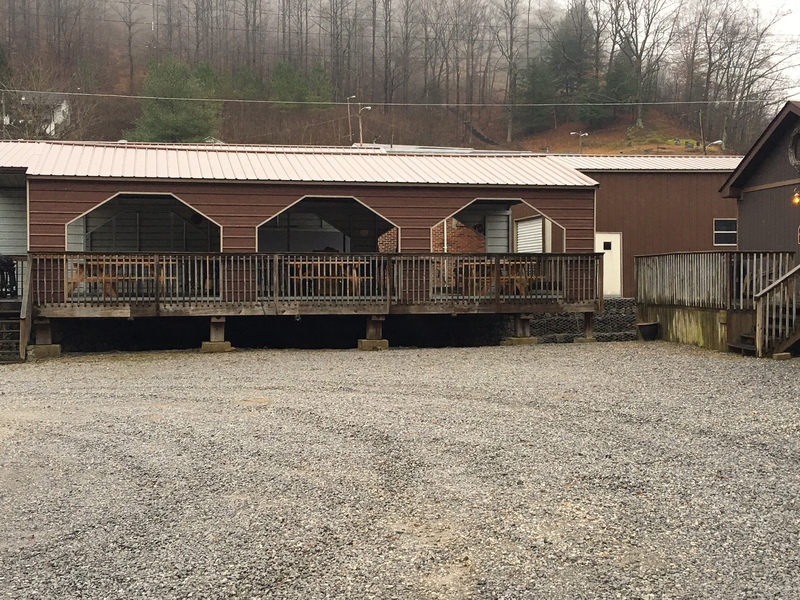 It features four gas grills to accommodate several groups at once, and plenty of seating with six picnic tables. 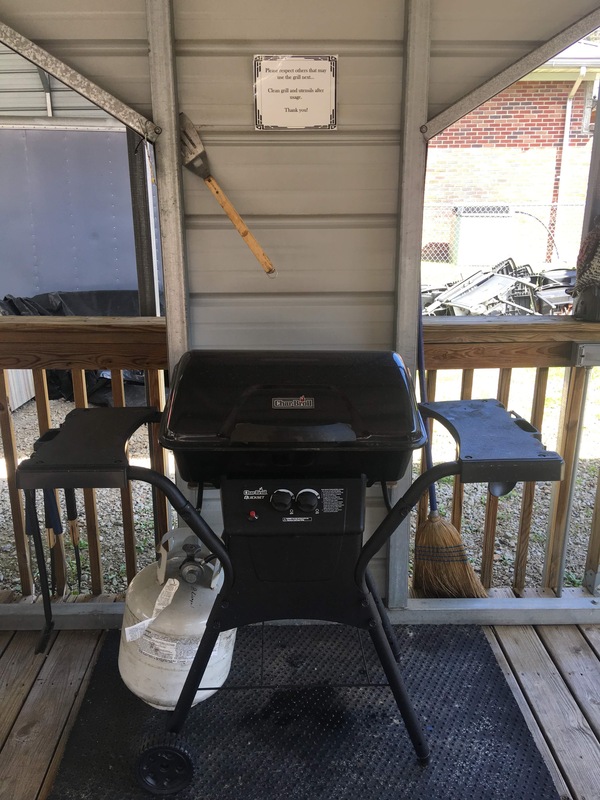 We provide grill accessories and utensils so they do not need to be brought to and from the rental units. 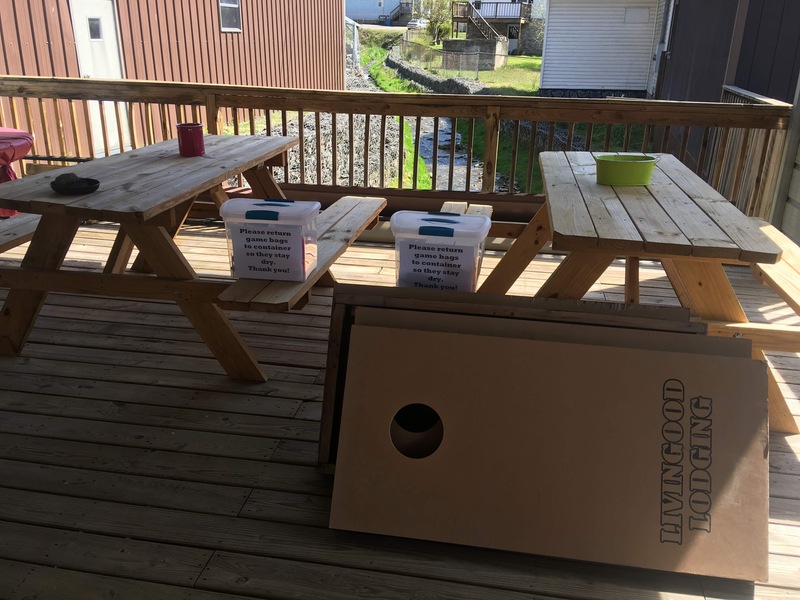 If you are looking for something to do while waiting on dinner, "The Deck" is also where we keep our corn hole boards. 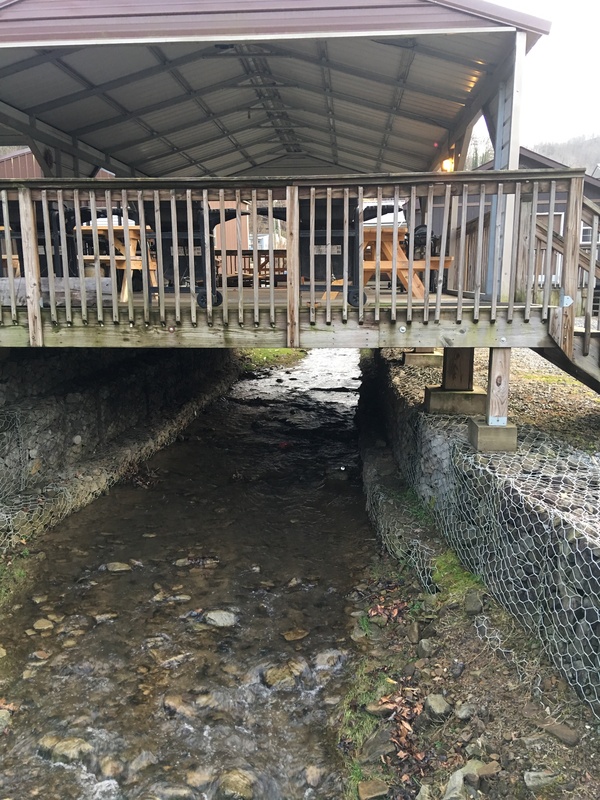 We also find the running water of Stafford Creek to provide a very relaxing sound as it flows underneath. 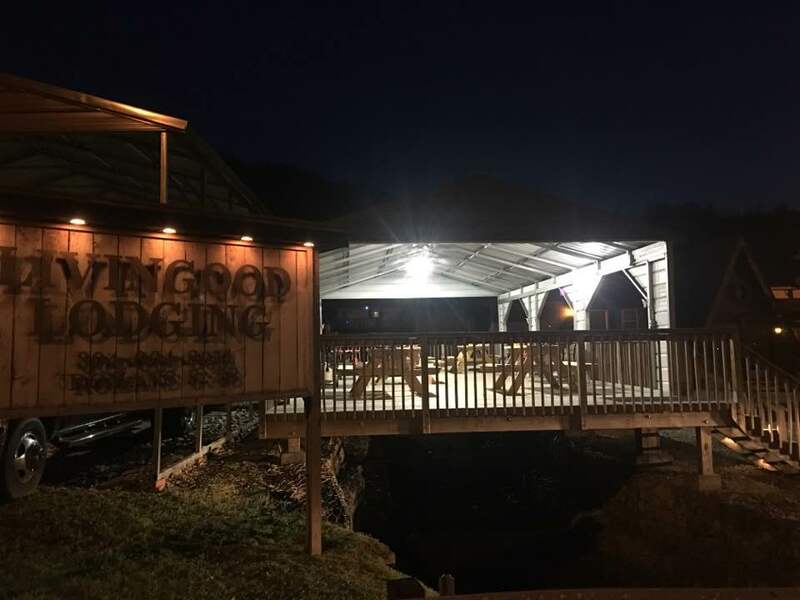 Make sure to take advantage of this feature when you stay with Livingood Lodging!